After much coffee and diet coke it was time to leave for my 09:00 Code One session. 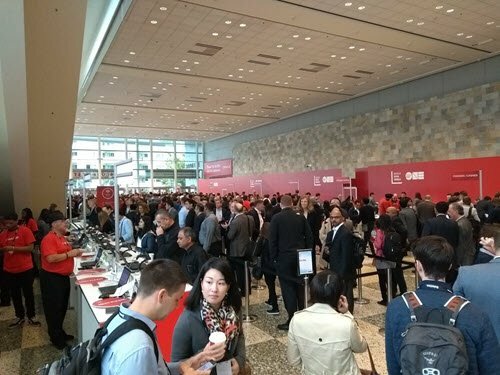 When I walked into Moscone West there were a lot of people queuing for registration, so I started to think I might be presenting to zero people. I got there about 30 minutes early and started to set up, then noticed it wasn’t the session I thought I was doing. It was the session on Analytic Functions instead. I’m using the jet-lag excuse again… 🙂 The demos for this session were using SQLcl on my laptop, connecting to Autonomous Transaction Processing on Oracle Cloud, but of course this could have been pretty much any Oracle database from 8i onward. 🙂 I think the session went well. From there I went across to see some of the lightning talks at OakTable World. I’m here on Oracle’s dollar, so I feel kind-of weird going to a non-Oracle event, which is why I tend not to spend too much time at OakTable World. When I got there I was pleasantly surprised to see Dad! I thought he would be off somewhere on a yacht, or riding through the desert on a Harley. 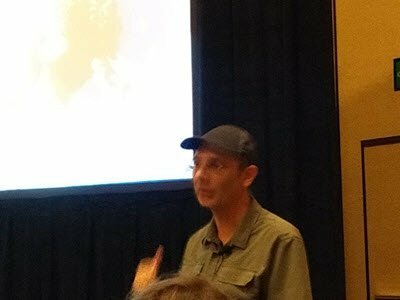 First up was the mighty John Beresniewicz with “NoSQL is anti-relational”, then “Average Active Sessions – Deeper Meaning”, where he gave a history of how the Average Active Sessions concept came into being. JB presents with such clarity. He’s awesome. That was followed by “Think Data, Not Database” by Arup Nanda, where he encouraged us to think of data in a wider sense (databases, spreadsheets and data in queues like Kafka) when we are considering performance and processing of data. 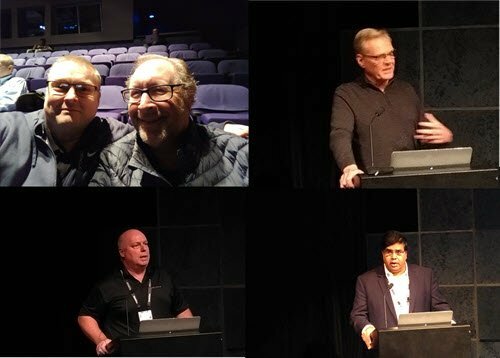 The last lightening session I saw was Tim Gorman (the real Tim) speaking about “Data Masking”. He made some great points about the attack surface of non-prod (dev, test, UAT etc.) systems being much bigger than production, which of course leads to the question of how do you protect the data in them if you are using production data. Anonymisation and masking being part of the process. I tried to get food, but they were out of everything except chicken, so I headed back to the hub and got an icecream. 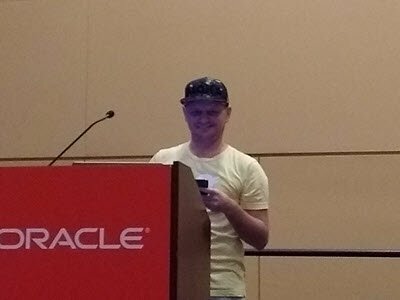 🙂 While I was there I bumped into Chris Thalinger and went along to see his session on “Performance tuning Twitter services with Graal and machine learning”. If you’ve not heard of it, Twitter is like Facebook, but with less functionality… 🙂 A lot of the technical stuff went over my head, but the message was pretty clear. Graal is cool and will improve the performance many applications running on the JVM, just by enabling it. In addition, Twitter were able to improve the performance of their workloads by using “autotune” to automate the tuning of the JVM parameters. Autonomous JVM anyone? From there I went back down to the Groundbreakers Hub and basically hung around for the rest of the day, chatted to folks and did some of the demos. I disturbed my Son, who was trying to finish his slides. He gave me a quick run through, so I didn’t have to go to his session. I’m a terrible Dad! From there is was back to the hotel to crash. I’m sure there were other things I could do, but it’s Monday and I already feel beat up. Previous Previous post: It’s not all about you!